After I have Read Cloud Atlas I would like to read John le Carre’s latest novel A Delicate Truth which is a furiously paced story of moral dilemma, bold action and unexpected love. It starts in Gibraltar, 2008. During a joint British and American counter-terror operation, codenamed Wildlife. Its purpose: to capture and abduct a high-value jihadist arms-buyer. Its authors: an ambitious Foreign Office Minister, and a private defence contractor who is also his close friend. So delicate is the operation that even the Minister’s private secretary, Toby Bell, is not cleared for it. A few years later in Cornwall, UK, 2011. A disgraced Special Forces soldier delivers a message from the dead. Was Operation Wildlife the success it was cracked up to be – or a human tragedy that was ruthlessly covered up? Summoned by Sir Christopher Probyn, retired British diplomat, to his decaying Cornish manor house, and closely observed by Probyn’s beautiful daughter, Emily, Toby must choose between his conscience and duty to his Service. If the only thing necessary for the triumph of evil is that good men do nothing, how can he keep silent? I am about to start reading Cloud Atlas by David Mitchell which contains six intertwined stories ranging from the nineteenth century to a distant, post-apocalyptic future. Each tale is revealed to be a story that is read (or observed) by the main character in the next. The first five stories are interrupted at a key moment. After the sixth story, the other five stories are returned to and closed, in reverse chronological order, and each ends with the main character reading or observing the chronologically previous work in the chain. Eventually, readers end where they started, with Adam Ewing in the nineteenth century South Pacific. The first story begins in the Chatham Islands (a remote Pacific Ocean archipelago), in 1850. Adam Ewing, a guileless American notary from San Francisco during the California Gold Rush, awaits repairs to his ship. Ewing witnesses a Moriori slave (pacifists who are exploited by the Maori) being flogged by a Maori man (warriors who are exploited by the British). During the punishment, the victim, Autua, sees pity in the eyes of Adam Ewing and smiles. Later Ewing ascends a high hill called Conical Tor, covered in jungle with no view. He stumbles on the lip of the crater, falls therein, and is knocked out. He awakes to find himself surrounded by hundreds of faces carved in the bark of trees. Ewing, reasoning that those who carved the faces must have had egress from the crater, manages to escape. Descending Conical Tor again, he resolves not to mention the glyphs outside of his journal. As the ship gets underway, Dr. Goose, who is Ewing’s only friend aboard the ship, examines the injuries Ewing sustained on the volcano and Ewing also mentions his chronic Ailment. The doctor diagnoses it as a fatal parasite, and recommends a course of treatment that might save Ewing but it will certainly make him feel worse before he gets better. Ewing gratefully accepts. Meanwhile Autua has stowed aboard the ship and hidden himself in Ewing’s cabin because he judged Ewing to be a compassionate soul. Ewing breaks the news to the Captain, who is ready to order his First Mate to shoot Autua, but Autua proves he’s a first class seaman, so the Captain puts him to work without salary to pay for his passage to Hawaii. The next story is set in Zedelghem, near Bruges, Belgium, 1931. It is told in the form of letters from Robert Frobisher, a recently disowned and penniless, bisexual young English musician, to his old friend and lover, Rufus Sixsmith, back in Cambridge. Frobisher escapes from a hotel without settling his bill and journeys to Zedelghem to offer his services as an amanuensis to a famous but reclusive English composer named Vyvyan Ayrs who is dying of syphillis and nearly blind. Along the way he sleeps with the (male) ship’s steward. Frobisher has a comet-shaped birthmark on his shoulder blade. Frobisher auditions and gains the grudging acceptance of Ayrs for his services. Ayrs’ wife Jocasta begins to subtly flirt with Frobisher. Ayrs’ daughter Eva, however, smells a rat and takes a posture of unrelenting hostility. Soon, however, Robert and Ayrs bear fruit with the creation of Der Todtenvogel (“The Death Bird”) which is performed nightly in Kraków, where it becomes the talk of the town. Frobisher says he even has begun composing his own music again. Frobisher and Jocasta Ayrs become lovers, but Eva remains suspicious. Frobisher begins taking rare books from Ayrs’ collection and selling them to a fence. One of the books he has found is titled The Pacific Journal of Adam Ewing but it is ripped in half and it drives him crazy, because, as he says, “A half-read book is a half-finished love affair.” He is amused that the author seems unaware that Dr Goose is poisoning him. One time when Jocasta and Frobisher are sleeping together, Ayrs pounds on his door and demands Frobisher writes down the notes he heard in a dream. Jocasta hides in a lump under the covers, and Ayrs, nearly blind, never sees her there. The dream was about a “nightmarish cafe” deep underground where the waitresses all had the same face and ate soap. When he is done humming his tune, he asks if Jocasta ever made advances to Frobisher, who answers, after some embarrassment, “emphatically, no.” As the summer comes to an end, Jocasta thanks Robert for “giving Vyvyan his music back.” Robert agrees to stay on until next summer at least, as Ayrs asked, time enough to turn his dream music into a major symphony called Eternal Recurrence. The third story is written in the style of a mystery/thriller novel, and is set in the fictional city of Buenas Yerbas, California, in 1975. Luisa Rey, a young journalist, investigates reports that a new nuclear power plant is unsafe. Rufus Sixsmith meets Luisa in an elevator and listens to her life story while they are stuck between floors during a power black-out. Her late father was one of the few incorruptible policemen on the force. Luisa says she was willing to lay her life on the line for her journalistic integrity because to do otherwise would be a mockery of her father’s life. Sixsmith realizes he can trust Luisa. Later, after the elevator power is restored, Sixsmith expresses to Luisa his concern that the Seaboard HYDRA nuclear power plant isn’t as safe as they advertise it to be. Shortly after this admission, he is murdered, and Luisa learns that the businessmen in charge of the plant are conspiring to cover up the dangers and are assassinating potential whistleblowers. From Sixsmith’s hotel room, Luisa manages to get hold of some of Frobisher’s letters and becomes so enthralled by the composer that she orders his only published work, “Cloud Atlas Sextet.” However, a Seaboard-hired assassin has been following her and pushes her car – along with Sixsmith’s incriminating report – off a bridge, at which point the story breaks off. The fourth story is comic in tone, and set in Britain in the present day. Timothy Cavendish, a 65-year-old vanity press publisher, flees the brothers of his gangster client. Cavendish’s brother, exasperated by Timothy’s endless pleas for financial aid, books him into a remote hotel, which in fact turns out to be a nursing home from which Timothy cannot escape. After suffering harassment at the hands of a Nurse Noakes, he attempts to run out the door, but is stopped by a security guard, and brought back to the home. He is told he will be punished if he makes any more attempts to flee. In the course of his adventures, Timothy briefly mentions that he is reading a manuscript from a prospective author entitled Half-Lives: The First Luisa Rey Mystery, which does not impress him. This raises the question of what has been real up to this point in the narrative. Timothy settles into his new surroundings, while still trying to plot a way out. One day, he is struck by some sort of a seizure, just as the chapter ends, leaving his fate unknown for the time being. The fifth story is set in Nea So Copros, a dystopian futuristic state that is gradually revealed to be in Korea and to be a totalitarian state that has evolved from corporate culture. It is told in the form of an interview between Sonmi~451 and an ‘archivist’ who is recording her story. Sonmi~451 is a genetically engineered fabricant (clone), who is one of many fabricants grown to work at, among other places, a fast-food restaurant called Papa Song’s. Fabricants, it is revealed, are treated as slave labor by ‘pureblood’ society, who stunt the fabricants’ consciousness through chemical manipulation. Sonmi~451 encounters individuals from a rebel underground who draw her out of the cloistered fabricant world, and allow her to become self-aware, or “ascended.” Sonmi describes watching a pre-Skirmishes film called The Ghastly Ordeal of Timothy Cavendish and being utterly captivated by how it immersed her in a far earlier time. But at precisely the point where the protagonist suffered some sort of seizure, a student interrupts her and Hae-Joo, one of her mentors. He tells them Professor Mephi has been arrested, and that forty or fifty enforcers are looking for them with orders to interrogate Hae-Joo and kill Sonmi on sight. Hae-Joo exudes a sudden grim authority and reveals to Sonmi, while the image of Timothy Cavendish is projected upon him, that he is not who he said he was. The sixth story occupies the central position in the novel, and is the only one not to be interrupted. Zachry, an old man, tells a story from his youth. It is gradually revealed that he lives in a post-apocalyptic society on the Big Island of Hawaii. His people, the valley folk, are peaceful farmers, but are often raided by the violent Kona tribe from the other side of the island. Zachry’s people worship a goddess called Sonmi, and know that there was an event called ‘The Fall’, in which the civilized peoples of Earth – known as the ‘Old Uns’ – collapsed, and the surviving humans have been reduced to primitivism. They have relatively short lifespans. Big Island is occasionally visited and studied by a technologically sophisticated people known as the Prescients who arrive in ocean-colored boats and trade with the valley folk. One Prescient, a woman called Meronym, comes to stay with the villagers. She observes their technology, culture, and practices. Zachry becomes suspicious, and sneaks into her room, where he finds an ‘orison’, an egg-shaped device for recording and holographic videoconferencing. He is discovered by someone on the other end of the communication. Zachry’s sister Catkin steps on, and is poisoned by a scorpion fish; Meronym reluctantly gives her medicine. When Meronym later requests a guide to take her to the top of Mauna Kea volcano, a place the villagers fear because of the mysterious temples on its summit, Zachry reluctantly guides her. It is revealed that the ‘temples’ are in fact the ruins of the Mauna Kea Observatories. Meronym shocks Zachry by telling him that their god Sonmi was in fact a human being, and explains the workings of the orison. It can replay Sonmi telling her story to the people. Upon their return, they go with most of the valleysfolk to trade at Honokaa. But first Honokaa, then the valley, is invaded by Kona tribesmen who enslave the villagers. Zachry and Meronym eventually escape, and she takes him to a safer island. The story ends with Zachry’s child recalling that his father told many unbelievable tales. The child admits that part of this one may be true because he has inherited Zachry’s copy of Sonmi’s orison, which he often watches, even though he doesn’t speak her language. Luisa Rey escapes from the sinking car and by detective work successfully locates a copy of Sixsmith’s report about the Swanekke power plant, exposing the corrupt corporate leaders. She picks up her copy of Robert Frobisher’s obscure Cloud Atlas Sextet and is astonished to find that she recognizes it, even though it is a very rare piece. At the end of the story, she receives a package from Rufus Sixsmith’s niece, which contains eight more letters addressed to Rufus Sixsmith. Frobisher continues to pursue his work with the elderly composer while developing his own Cloud Atlas Sextet. He becomes besotted by Vyvyan Ayrs’ daughter, and tries to end the affair with his employer’s wife. While packing his things to finally leave the composer, who had begun to steal the young composer’s musical ideas, he discovers the second half of The Pacific Diaries of Adam Ewingpropping up the bed. Frobisher secludes himself in a hotel to finish the Sextet, and ultimately decides to kill himself. He is content with this decision as he believes he has completed his best work, but mourns the loss of his one true love, Sixsmith. Before shooting himself, he writes a last letter to Sixsmith, and includes his Sextet and The Pacific Journal of Adam Ewing. Ewing visits the island of Raiatea where he observes missionaries preaching to the indigenous peoples, whom they regard as savages, and treat as slaves even as their illnesses kill them off. Back on the ship, he falls further ill, realizing at the last minute that Dr Goose is poisoning him to steal his possessions. He is rescued by Autua, and having been saved by a slave, resolves to devote his life to theAbolitionist movement. Ewing writes that history is not governed by rules, but outcomes. And outcomes are precipitated by vicious and virtuous acts. And those acts are precipitated by belief. If we believe in the ladder of civilization, then that’s what we will get. But someday “a purely predatory world shall consume itself”. “The devil take the hindmost until the foremost is the hindmost.” Selfishness in a species leads to extinction. He imagines his father-in-law’s response to his becoming an Abolitionist: he would warn Adam that his life would amount to no more than one drop in a limitless ocean. Adam’s proposed reply is, “Yet what is any ocean but a multitude of drops?”art reading Cloud Atlas by avid Mitchell, an epic novel which contains six interlocking stories from the Pacific in the nineteenth century to a distant, post-apocalyptic future. Each tale is revealed to be a story that is read (or observed) by the main character in the next. The first five stories are interrupted at a key moment. After the sixth story, the other five stories are returned to and closed, in reverse chronological order, and each ends with the main character reading or observing the chronologically previous work in the chain. Eventually, readers end where they started, with Adam Ewing in the nineteenth century South Pacific. I would like to watch the 2012 American historical drama film Lincoln, directed and produced by Steven Spielberg, starring Daniel Day-Lewis as United States President Abraham Lincoln andSally Field as Mary Todd Lincoln.The film is based in part on Doris Kearns Goodwin’s biography Team of Rivals: The Political Genius of Abraham Lincoln, and covers the final four months of Lincoln’s life, focusing on the President’s efforts in January 1865 to have the Thirteenth Amendment to the United States Constitution passed by the United States House of Representatives. Lincoln recounts President Abraham Lincoln’s efforts, during January 1865, to obtain passage for the Thirteenth Amendment to the United States Constitution in the United States House of Representatives, which would formally abolish slavery in the country.Expecting the Civil War to end within a month but concerned that his 1863 Emancipation Proclamation may be discarded by the courts once the war has concluded and the 13th Amendment defeated by the returning slave states, Lincoln feels it is imperative to pass the amendment by the end of January, thus removing any possibility that slaves who have already been freed may be re-enslaved. The Radical Republicans fear the amendment will merely be defeated by some who wish to delay its passage; the support of the amendment by Republicans in the border states is not yet assured either, since they prioritize the issue of ending the war. Even if all of them are ultimately brought on board, the amendment will still require the support of several Democratic congressmen if it is to pass. With dozens of Democrats having just become lame ducks after losing their re-election campaigns in the fall of 1864, some of Lincoln’s advisors believe that he should wait until the new Republican-heavy Congress is seated, presumably giving the amendment an easier road to passage. Lincoln, however, remains adamant about having the amendment in place and the issue of slavery settled before the war is concluded and the southern states readmitted into the Union.Lincoln’s hopes for passage of the amendment rely upon the support of the Republican Party founder Francis Preston Blair, the only one whose influence can ensure that all members of the western and border state conservative Republican faction will back the amendment. With Union victory in the Civil War seeming highly likely and greatly anticipated, but not yet a fully accomplished fact, Blair is keen to end the hostilities as soon as possible. Therefore, in return for his support, Blair insists that Lincoln allow him to immediately engage the Confederate government in peace negotiations. This is a complication to Lincoln’s amendment efforts since he knows that a significant portion of the support he has garnered for the amendment is from the Radical Republican faction for whom a negotiated peace that leaves slavery intact is anathema. If there seems to be a realistic possibility of ending the war even without guaranteeing the end of slavery, the needed support for the amendment from the more conservative wing (which does not favor abolition) will certainly fall away. Unable to proceed without Blair’s support, however, Lincoln reluctantly authorizes Blair’s mission.In the meantime, Lincoln and Secretary of State William Seward work on the issue of securing the necessary Democratic votes for the amendment. Lincoln suggests that they concentrate on the lame duck Democrats, as they have already lost re-election and thus will feel free to vote as they please, rather than having to worry about how their vote will affect a future re-election campaign. Since those members also will soon be in need of employment and Lincoln will have many federal jobs to fill as he begins his second term, he sees this as a tool he can use to his advantage. Though Lincoln and Seward are unwilling to offer direct monetary bribes to the Democrats, they authorize agents to quietly go about contacting Democratic congressmen with offers of federal jobs in exchange for their voting in favor of the amendment.With Confederate envoys ready to meet with Lincoln, he instructs them to be kept out of Washington, as the amendment approaches a vote on the House floor. At the moment of truth, Thaddeus Stevens decides to moderate his statements about racial equality to help the amendment’s chances of passage. A rumor circulates that there are Confederate representatives in Washington ready to discuss peace, prompting both Democrats and conservative Republicans to advocate postponing the vote on the amendment. Lincoln explicitly denies that such envoys are in or will be in the city — technically a truthful statement, since he had ordered them to be kept away — and the vote proceeds, narrowly passing by a margin of two votes. When Lincoln subsequently meets with the Confederates, he tells them that slavery cannot be restored as the North is united for ratification of the amendment, and that several of the southern states’ reconstructed legislatures would also vote to ratify.After the amendment’s passage, the film’s narrative shifts forward two months, portraying Lincoln’s visit to the battlefield at Petersburg, Virginia, where he exchanges a few words with General Grant. Shortly thereafter, Grant receives General Lee’s surrender at Appomattox Courthouse.On the evening of April 14, 1865, Lincoln is in a meeting with members of his cabinet, discussing possible future measures toenfranchise blacks, when he is reminded that Mrs. Lincoln is waiting to take them to their evening at Ford’s Theatre.That night, while Tad Lincoln is viewing Aladdin and the Wonderful Lamp at Grover’s Theater, a man announces that the President has been shot. The next morning his physician pronounces him dead. The film concludes with a flashback to Lincoln delivering his second inaugural address. 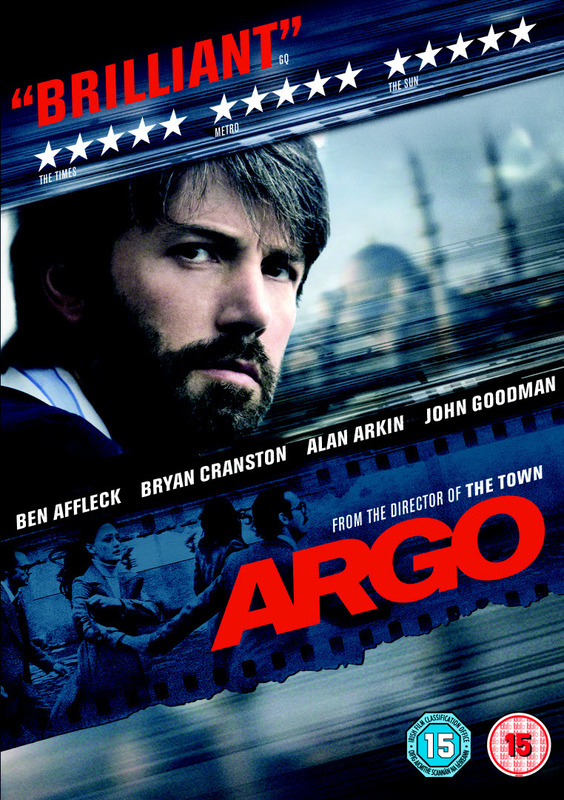 I have recently watched the film Argo again, starring Ben Affleck and Brian Cranston it is based on real events and starts after Militants storm the United States embassy in Tehran on November 4, 1979, in retaliation for President Jimmy Carter giving the Shah asylum in the U.S. during the Iranian Revolution. More than 50 of the embassy staff are taken as hostages, but six escape and hide in the home of the Canadian a3mbassador Ken Taylor (Victor Garber). With the escapees’ situation kept secret, the US State Department begins to explore options fo ex filtration them from Iran. Tony Mendez (Ben Affleck), a CIA exfiltration specialist broughtninto for consultation, criticizes the proposals, but is at a loss for an alternative. While on the phone with his son, he is inspired by watching Battle for the Planet of the Apes and begins plans for creating a cover story for the escapees being Canadian filmmakers scouting for exotic locations in Iran for a similar science-fiction film.Mendez and his supervisor Jack O’Donnell (Bryan Cranston) contact John Chambers(John Goodman), a Hollywood make-up artist who has previously crafted disguises for the CIA. Chambers puts them in touch with film producer Lester Siegel (Alan Arkin). Together they set up a phony film studio, publicize their plans, and successfully establish the pretense of developing Argo, a “science fantasy” in the style of Star Wars, to lend credibility to the cover story. Meanwhile, the escapees grow frantic inside the ambassador’s residence. The revolutionaries reassemble embassy papers shredded before the takeover and learn that some personnel have escaped.Posing as a producer for Argo, Mendez enters Iran and links up with the six escapees. He provides them with Canadian passports and fake identities to prepare them to get through security at the airport. Although afraid to trust Mendez’s scheme, they reluctantly go along with it, knowing that he is risking his own life too. A scouting visit to the bazaar to maintain their cover story takes a bad turn, but their Iranian culture contact gets them away from the hostile crowd.Mendez is told that the operation has been cancelled to avoid conflicting with a planned military rescue of the hostages. He pushes ahead, forcing O’Donnell to hastily re-obtain authorization for the mission to get tickets on a Swissair flight. Tension rises at the airport, where the escapees’ flight reservations are confirmed at the last minute, and a guard’s call to the supposed studio in Hollywood is answered at the last second. The group boards the plane, which takes off just as the Revolutionary Guards at the airport uncover the ruse and try to stop them. To protect the hostages remaining in Tehran from retaliation, all US involvement in the rescue is suppressed, giving full credit to the Canadian government and its ambassador (who left Iran with his wife under their own credentials as the operation was underway; their Iranian housekeeper, who had known about the Americans and lied to the revolutionaries to protect them, escaped to Iraq). Mendez is awarded the Intelligence Star, but due to the classified nature of the mission, he would not be able to keep the medal until the details were made public in 1997. All the hostages were freed on January 20, 1981. The film ends with former President Jimmy Carter’s speech about the Crisis and the Canadian Caper. Monday 29th April is International Dance Day. IT was introduced in 1982 by the International Dance Committee of the International Theatre Institute (ITI), a UNESCO partner NGO, and is celebrated on April 29 every year. The date was suggested by the International Dance Committee of ITI to commemorate the birthday of Jean-Georges Noverre (1727-1810), creator of modern ballet and author of the famous Lettres sur la danse published in 1760 in Lyon[Every year, an outstanding choreographer or dancer is invited to deliver a message which is circulated throughout the world. The personality is selected by the founding entity of the International Dance Day – the International Dance Committee of ITI, which collaborates with World Dance Alliance, a Cooperating Member of ITI. Among many others, Merce Cunningham, Maurice Béjart, Akram Khan and Anne Teresa De Keersmaeker have delivered the message and/or participated in the celation of International Dance Day at UNESCO.The goal of the “International Dance y Message” is to celebrate Dance, to revel in the universality of this art form, to cross all political, cultural and ethnic barriers and bring people together through the common language of Dance. Together with the World Dance Alliance, ITI and its Dance Committee celebrate International Dance Day at UNESCO in Paris and all over the world.Promotion of Dance Day by the International Dance CouncilThe International Dance Council (CID), an umbrella organization within UNESCO is also active in the support of Dance and promotes Dance Day through the voice of its presidentAlkis Raftis who delivers a message himself every year. The CID considers that while dance has been an integral part of human culture throughout its history, it is underprioritized by official establishments in the world. In particular, Prof. Alkis Raftis, President of the International Dance Council, in his 2003 Dance Day Message said: “In more than half of the 200 countries in the world, dance does not appear in legal texts (for better or for worse!). There are no funds allocated in the state budget to support this art form. There is no such thing as dance education, private or public.” The year 2005 focus of the Dance Day was on primary education. CID urged dance establishments to contact the Ministries of Education with the proposals to celebrate this day at all schools with writing essays about dance, drawing dance pictures, dancing in the streets, etc.The 2006 message of President of CID addresses the reluctance of dancers to join collective organisations, expresses an opinion that this is a major reason of the lack of the due recognition (legislation, financing, visibility) of dance in society, and calls: “Dancers of the world, unite! “The 2007 Dance Day was dedicated to children.In 2008, Alkis Raftis circulated an e-mail which said, in part: “Governments, sponsors, and the media is our main concern this year. Governments (national, regional or local), sponsors (private or public) and the media (newspapers, magazines, radio, TV) are the three most important factors affecting the practice of our art. Dance professionals struggle to approach them individually – with poor results. We propose a better way: through CID Sections representing all forms of dance, all levels, all functions” In 2010, Prof. Alkis Raftis, President of the International Dance Council CID, UNESCO, Paris, wrote:The United Nations proclaimed 2010 as International Year for the Rapprochement of Cultures and designated UNESCO as lead agency in this celebration, having regard to its experience of more than 60 years in advancing the mutual knowledge and understanding of peoples. Irina Bokova, the new Director-General of UNESCO, has proposed a universal vision, which she has called the “new humanism”; a vision open to the entire human community, providing a humanist response to globalization and crisis, aiming at the safeguarding of social cohesion and the preservation of peace. Dance, being a central part of every culture, constitutes the ideal means for bringing together people from different countries. Festivals promote in the most lively manner reciprocal knowledge and respect of diversity; there are hundreds of millions attending international dance festivals each year. Teachers offering classes in foreign countries provide immediate bridges of understanding ingrained into the bodies of dancers; there are tens of thousands of dance teachers crossing national borders yearly. Congresses and open conferences provide opportunities to showcase one’s work to an audience of peers; there are dozens of international meetings of dance researchers, historians and critics in any given year. Even outside festivals, classes or conferences, simply watching on television a dance from a foreign country offers the most striking, appealing and convincing image of another ethnic group. For vividly illustrating cultural diversity, for embodying rapprochement, there is no better means than dance. 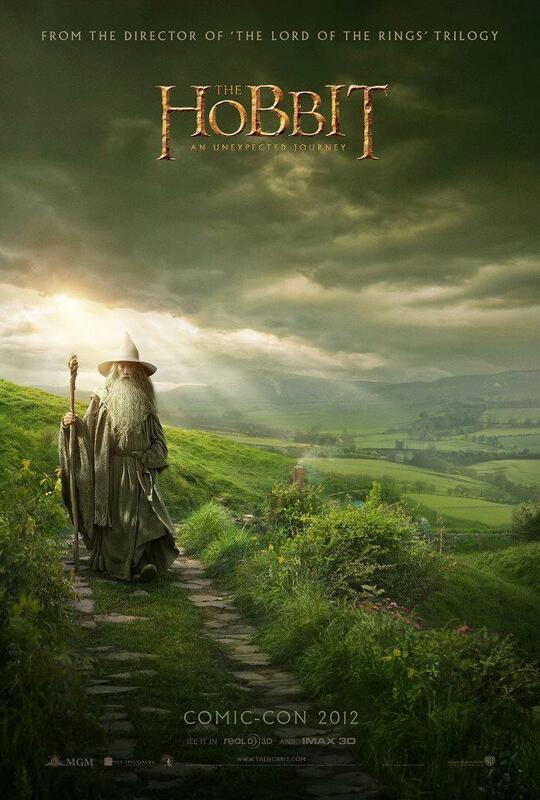 I have recently watched Peter Jacksons film adaptation of J.R.R.Tolkien novel The Hobbit a number of times over the past few weeks. Great film although There are no extras on the DVD so I suspect they are saving them for the boxed set. The film starts with a bit of back story concerning the dwarf King Thror who is ruler of the fabulously wealthy kingdom of Erabor situated inside the Lonely Mountain, who live peacefully alongside the elf realm of Mirkwood ruled by King Thranduil (LEe Pace) and the human settlement of Dale until an evil dragon named Smaug decides he wants the treasure and clobbers most of the Dwarfs whilst King Thranduil stands by and watches without helping. Sixty years later Thror’s GRandson Thorin (Richard Armitage) decides to try and retaket Erabor with the hellp of a company of thirteen dwarfs including Dwalin (Graham MCTavish) Balin (KEn Stott) BIfur (William KIrcher)Bofur JAMES nesbitt) BOmbur (Stephen Hunter) Meanwhile the other dwarf realm of Moria isalso attacked by goblins leading by thevillainous Azog the defiler ( Manu Bennett) Thror is tragically kiled defending Erabor and his son Thrain mysteriously vanishes, over come with grief, so Thrain’s son Thorin decides to recapture the dwarf realm of Erabor. Thrain is later found languishing in the jails of the sinister fortress of Dol Guldur having been captured bya villainous character known as theNecromamcer whose sinister activities are of great concern to Saruman the wizard (ChristopherLee) Gandalf (Sir Ian McKellen) Radagast the brown and the elves LordElond (HugoWeaving) and Galadriel (Cate Blanchett) who discuss who he really is and what to do about him before finding out the truth, deciding to confront him and try and put a stop to his villainous schemes..